The present continuous tense, sometimes called the present progressive, is the present participle form of a verb used with the present tense form of to be. The present continuous tense is used for showing an action that is happening at the moment or in the present. It sometimes shows action happening in the near future. 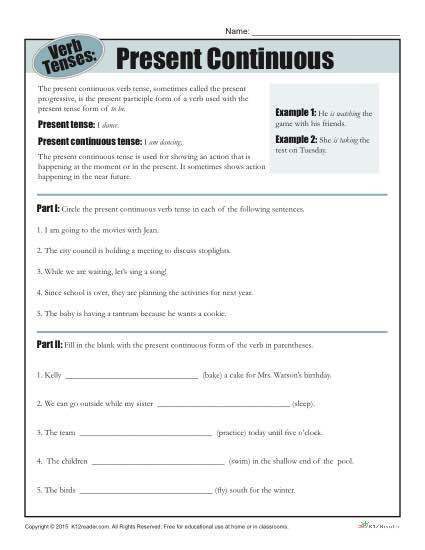 In the first part of the activity, students circle the present continuous verb tense in each sentence. In the second part, students fill in the blank with the present continuous form of the verb in parentheses.